WiredState Audio Community • View topic - Chinese replicas of vintage WE, RCA, Jensen & etc. Chinese replicas of vintage WE, RCA, Jensen & etc. Found this at Oswalds Mill Forum. 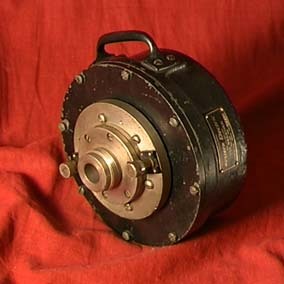 The WE 555 field coil compression driver pictured is original, but click on the pic for the website that produces replicas. Re: Chinese replicas of vintage WE, RCA, Jensen & etc. A lot of American treasure hunters would agree the Japanese (as well as other Asian) enthusiasts are crazy that's why they are still exporting their audio heritage.The Japanese vintage audio market has been established several years ahead of the rest of the world. Based on Stereo Sound issues I've seen dating back to the 80s, replica makers have come and go since this is more of a cottage industry/handicraft. pigdog wrote: is there are specific advantage of field coil versus conventional drivers? Obviously there is no risk of demagnetization and supposedly the magnetic field is stronger and more concentrated/focused. i have seen a pair of field coil tweeters in HK recently and these are brand new units with modern design, made in japan. a bit complicated to have power supplies for each drivers! in the 40s - 50s field coils were popular. in fact builders then would also use the inductance created my the coil as filtering in the power supply. as materials required to create more powerful magnets became available, field coils faded from popularity.